Established in the year 2013, RK 1 Engravers is one of the top notch firms of the market indulged in providing a quality approved array of Rollers to the market. 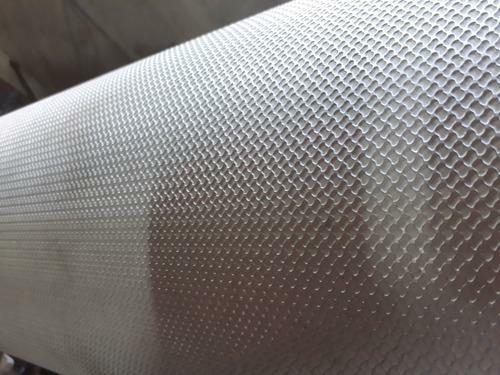 Widely acknowledged for their optimum quality and fine finish, we are manufacturing and supplying Embossing Roll, Anilox Roller, Mirror Roller, Industrial Roller, Box Strapping Roller, Hard Chrome Plated Steel Roller, Conveyor Rim Zim Roll, Textile Embossing Roll, Leather Embossing Roller, Paper Embossing Roll, Knurling Roller, Aluminum Sheet Embossing Roller and Car Mat Embossing Roller. Within this offered array we are providing a commendable assortment of products which includes 3D Embossing Roll, Bathmate Embossing Roll, Handmade Paper Embossing Roll, Engraving Roll, Male Female Embossing Roll, Plastic File Embossing Roll and Paper Embossing Roll. The entire range of products offered by us is manufactured making us of top quality raw material which we are procuring from highly reliable and trustworthy suppliers of the market. Besides being developed using utmost-grade raw components, the offered range is well examined on various quality parameters. Moreover, our offered range is comprehensively applauded by our customers for their market friendly prices.